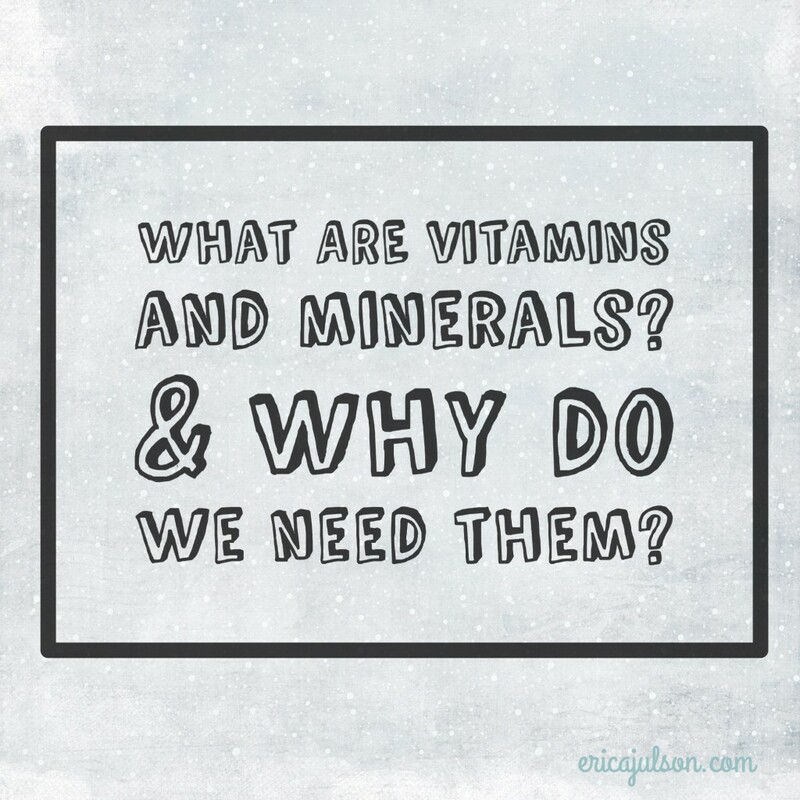 What is the Difference Between Vitamins and Minerals? 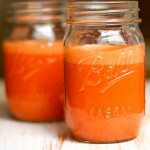 Essential vitamins and minerals are micronutrients required by the body for life. In order to be classified as an essential vitamin or mineral, an absence of the substance must cause deficiency symptoms that are only corrected by including the substance in the diet again. A total absence of the nutrient for a long period of time would lead to death. They differ from macronutrients (protein, carbohydrates, fat, and alcohol) because they do not provide energy for the body. They cannot be broken down to release energy. Another way to think of it: vitamins and minerals contain no calories. Essential vitamins and minerals cannot be synthesized or cannot be synthesized in large enough quantities needed by the body for survival, and so must be consumed in the diet. This is why it is important to eat a well-rounded and varied diet to get all of the essential nutrients our bodies need. A diet full of processed or fast foods will eventually starve your body of many vitamins and minerals it needs for optimal health. So what’s the main difference between vitamins and minerals? It comes down to chemistry. In chemistry, ORGANIC means ‘carbon containing’. Any substance that contains the element carbon is considered organic. This is not to be confused with the laypersons term ‘organic’, meaning free of pesticides. Totally different! Vitamins are non-energy providing nutrients that contain carbon, and so are considered organic. Minerals do NOT contain carbon, and so are classified as inorganic nutrients. They are similar to vitamins because they don’t provide energy for the body, but they are different because they do not contain carbon. Other ultratrace minerals such as chromium, boron, silicon nickel, arsenic and vanadium are suggested to be essential, but this has not conclusively been determined. Additional ultratrace minerals with limited research on essentiality include aluminum, bromine, cadmium, germanium, lead, lithium, rubidium, and tin. 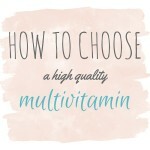 Where can you get your vitamins and minerals? If you are interested in learning the vitamin and mineral content of specific foods, I highly recommend the World’s Healthiest Foods website. It’s fabulous! 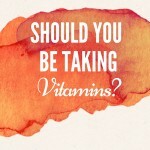 Should you be taking vitamins?